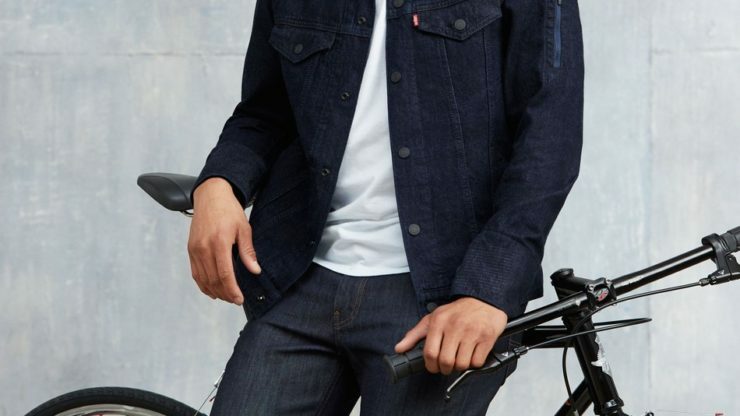 Levi's Now Sells A $350 Jacket with A Smart Sleeve | OhGizmo! What are the Best Laptops of 2017? By Randy Donack on 10/01/17 • Leave a comment! It seems like everyday manufacturers are trying to turn something else in our house ‘smart’. Today we have smart TVs, smart refrigerators, smart lightbulbs, smart door handles, and even smart juice pressers, but Levi’s has now released their own jacket that has some smart tricks ‘up-its-sleeve’. Their latest offering is a standard looking Levi’s denim trucker jacket with ‘smart fibers’ woven into the sleeve. These fibers can detect swipes from a hand and can connect with your phone via an attached Bluetooth dongle to do things like skip a song track. There are three different gestures that can be detected, a swipe to the left, a swipe to the right, and a double tap, and these gestures can then be programmed to do a few different things. As cool as the tech seems, I can’t think of many situations where using controls from a smart sleeve would be more handy than, let’s say, using the in-line buttons on wired headphones, or using your smartwatch to skip a track, because if you’re the type to buy a smart jacket, you already have a smartwatch. It’s available now through Levi’s, and to be fair, its $350 price seems more reasonable when you consider that the standard Levi’s trucker jacket is already about $150. And if you’re the type that’s into spending real money of jackets and it sounds like a cool idea, then maybe you should check it out. ← What are the Best Laptops of 2017?